Prior to joining KMFY, Lindsay clerked for a small local firm focused on employment law and civil rights. She joined KMFY in 2015 and experienced the unique opportunity of gaining exposure in all of the Firm’s practice areas. Lindsay has a valuable perspective of the Firm’s collaborative techniques for finding the best possible solutions for their clients. 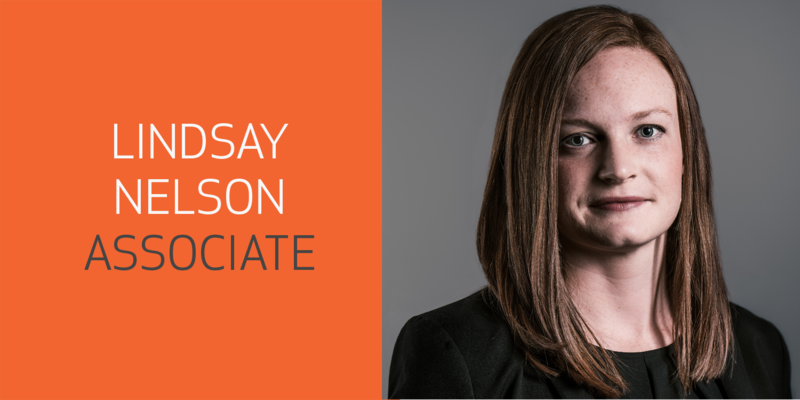 Lindsay primarily works in the practice areas of Construction Litigation and Business Litigation, representing a wide range of construction professionals and business entities. In her practice of Construction Litigation, Lindsay focuses on issues surrounding professional liability, negligence, fraud, building code violations, easements, indemnification, and contribution. In the area of Business Litigation, Lindsay predominantly handles employment-related disputes, including breach of contract, intellectual property matters, breach of fiduciary duties, conversion and misrepresentation. Lindsay also advises clients in the firm’s Business & Finance practice area regarding trademark and copyright registration, employment agreements, non-compete and non-solicitation agreements, and employee handbooks.